They came to Greece and brought along their culture. They play music at the coffeehouses and on the streets with emotion and knowledge. Some of them are self-educated, some others have been taught to play music in their homelands. 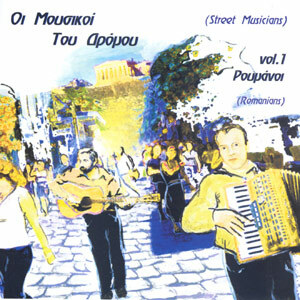 Grigoris Psarianos found Rumanian, Albanian and Greek street-musicians and brought them in a studio to record. This is the first album of a series, a real document, where Rumanians sing and play music! Two accordions, a guitar, santour and drums. A music journey to the Balkan with the unique and well known sensitivity of Rumanian musicians.